We replaced tired factory lighting with new LED lighting units. In a factory environment, good lighting is imperative. 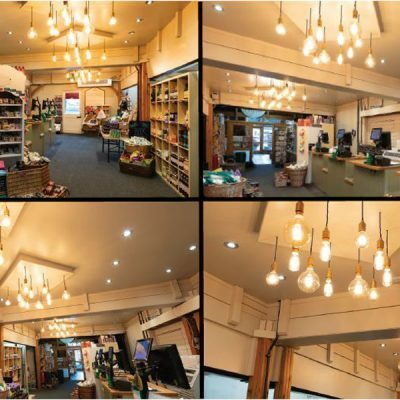 The LED lights installed replaced 12 tired metal halide fittings that consume 400 watts of power each and give 9000 lumens of light. The new LED unit consumes 160 watts of power and have an output of 21,000 lumens. These fittings will not only be at least twice as bright but cost less than half to run and will outlast any other product available on the market.